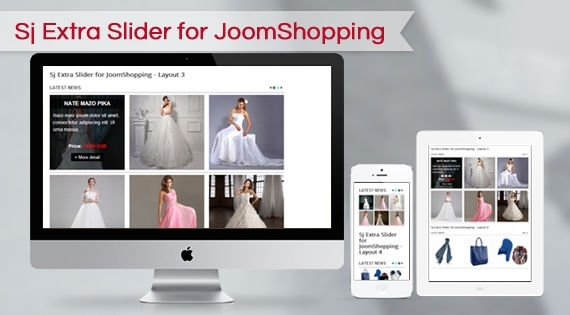 Using this module, it will support JoomShopping store in showing products with many types of slider. SJ Extra Slider for JoomShopping is made with responsive design and added many extra layouts for your need with various cool effects. Compatible with latest JoomShopping component, this module can be set up easily to show as many products as we want. Powered by 7 different layouts, by each, slider will be shown with every details of products, such as description, price and review. Let view our demo to feel more!